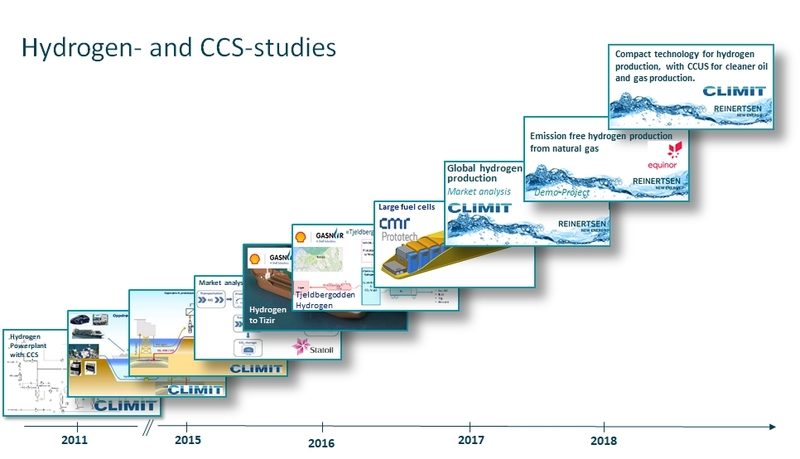 REINERTSEN New Energy AS is focusing on clean hydrogen production from natural gas, with CCUS. We have been working in this field since 2011, developing such concepts for the oil-, gas- and energy companies. The subsidiary HYDROGEN Mem-Tech AS is now entering the commercialization stage with its Palladium membrane technology for separation of hydrogen and CO₂. The technology is being tested at Equinors methanol plant in mid-Norway. The technology seem to be very efficient compared to the existing PSA technology, and will be ideal for CCUS.